For many women, their wedding day is the most important and anticipated event of their lives. Many little girls dream about one day walking down the aisle in their gorgeous gowns, looking radiant and happy. When the day finally approaches, it's essential that you have every aspect of your look planned. Future brides will spend countless hours pounding the pavement searching for the perfect wedding dress. Accessories and shoes are paired with the dress for the ideal combination. To complete the look, your wedding hair and makeup is essential to plan out before the big day approaches. A seasoned hairstylist is an essential person to have as a part of your team. After consulting with a florist, DJ, caterer and invitation designer, it's time to consult with a professional hair stylist to help you come up with the ideal hairdo for your wedding day. You want to make sure your hair is absolutely perfect that day, so it's essential that you allow an expert to help style your hair on your wedding day. Booking a consultation a few weeks before your wedding day will give you plenty of time to determine what type of style will be suitable for the look you are going for. Your stylist will go over a few different hair styles to ensure you are totally satisfied with the way your hair looks, and to prevent any unwanted surprises! It's best to already have your dress picked out so you and your stylist can select a hairdo that goes well with the neckline of your gown. In addition, you will also want to select any hair accessories, if any, that you would like to wear to accent your wedding hair style. 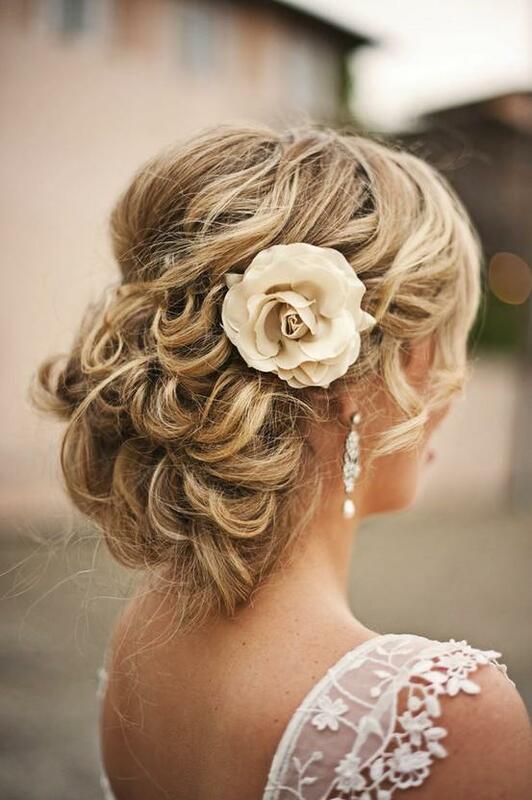 Wedding Hair - Not Just About Up-dos! Although up-dos are lovely, and may be the right choice for you, there are many other styles you can choose for your wedding day. You don't necessarily have to go as formal as an up-do if you so choose. The most important thing is that the hair style you select should go well with your dress, your facial features, and the theme of your wedding. Although there are many factors to consider before selecting the perfect wedding hair, the most important thing is that you are comfortable with the style that you choose.Your wedding day is one of the most important days of your life, and you should feel as beautiful as possible on that special occasion. Find a wedding hairstylist that understands your needs and taste, and transform yourself into the most beautiful bride you can be!